With so much conflicting information on who should eat gluten-free, we’ve got the answers! It has never been easier to follow a gluten-free diet than it is today. A visit to the supermarket will expose gluten-free options abound: baking blends, bagels, and breakfast, you name it. 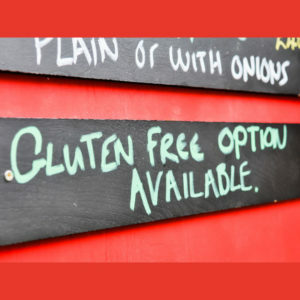 Gluten-free icons now decorate restaurant menus, and there are even gluten-free places to dine out. Awareness of gluten-free foods and celiac disease has grown tremendously. While some people need to be gluten-free for medical reasons, you should do your research before going on a gluten-free diet. 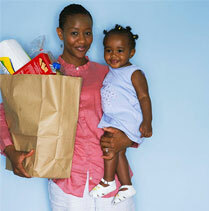 See our articles, What Does Your Child’s Celiac Diagnosis Mean and What Can My Kid Eat on a Gluten-free Diet. Studies show that individuals on a gluten-free diet struggle to consume many recommended nutrients. In a recent study, researchers found that adolescents and young adults following a gluten-free diet had a less balanced diet than individuals eating a regular diet (1). They tended to eat more sugar and total fat and consumed fewer micronutrients like calcium, zinc, and iron. Two reasons for this could be their higher consumption of sugar-sweetened beverages or the lack of fortification of gluten-free products. Other research has shown that children with celiac disease may also consume more total calories than children without celiac (2). It isn’t just children who are missing nutrients when following a gluten-free diet. Adult women with celiac disease consume less magnesium, iron, zinc, folate, and fiber compared to healthy women who eat gluten (3). So how can you make sure your gluten-free diet is balanced, nutritious, and sustainable, especially when the diet is medically indicated? There are many tasty and nutritious naturally gluten-free grains. These include colorful kinds of rice (red, black, purple and brown), certified gluten-free oats, buckwheat, amaranth, corn, quinoa, millet, and teff. Only wheat, barley, and rye contain the protein gluten that must be avoided if you have celiac disease or non-celiac gluten sensitivity. Because gluten-free grains add essential fiber, vitamins, and minerals, making sure they are part of your gluten-free diet can greatly increase the micronutrient composition of your meals (4). Simmer gluten-free oats, quinoa, buckwheat, or amaranth with water or milk to make a cozy breakfast porridge. Stir in some cinnamon, drizzle on a bit of honey, and top with fresh berries and chopped walnuts. Make a wild rice pilaf by adding sautéed onion, carrots, and mushrooms to some cooked wild rice. Mix in chopped parsley, toasted almonds, and currants. Take your taste buds on a trip to the Middle East by swapping quinoa for couscous in an herby tabbouleh salad. Try lentil, quinoa pasta or bean pasta. Just remember it tends to be less forgiving than wheat pasta if overcooked. So aim for al dente! Combine with your favorite pesto or tomato sauce and meatballs for an easy weeknight dinner. First focus on the abundance of naturally existing gluten-free foods! The convenience and availability of gluten-free processed foods may seem appealing, but many of these foods rely on added sugars and nutrient-poor starches to recreate the texture and taste of your favorite gluten-containing foods. Food marketers know “gluten-free” is a buzzword that boosts sales. But like most highly processed, packaged foods, those that are gluten-free may also be high in calories, sugar, and saturated fat, and low in nutrients (5). Don’t be fooled by labels. The only way to know the nutrient quality of a packaged food is to read the ingredient list and learn what’s inside. 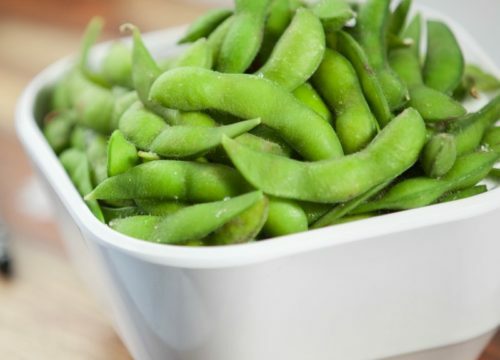 Focus on products with shorter ingredient lists and higher amounts of fiber. Limit foods with ingredients you can’t pronounce or visualize. Use the EWG’s Food Scores App to quickly assess the nutrient quality of packaged foods. Gluten-free or not, the same nutrition advice holds true: focus on whole, nutrient dense foods! Choose a full-color spectrum of fruits and vegetables, fiber-rich gluten-free whole grains and legumes, lean animal proteins, and nutritious fats like nuts, seeds, avocados, and olive oil. 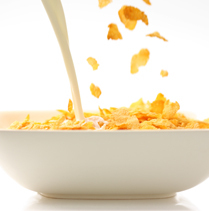 Limit added sweeteners and refined grains. And don’t forget to enjoy your meals with good company in a calm, enjoyable, and relaxed environment. Eat the rainbow. Look to have every color (including black, white, and brown!) in your grocery cart at check out. Then fill half of your plate with a selection of those fruits and vegetables at each meal. Engage your child in the cooking process to make them more willing to try new foods. Check out these 10 Dinner Ideas for some culinary inspiration. Find healthy easy meals to make and substitute healthy gluten-free ingredients. For example, sub-in garbanzo bean pasta for whole-wheat! Visit Melissa’s Healthy Living, where almost all recipes are gluten-free. 1. Do people with celiac disease tend to eat more nutritious diets than people without celiac disease? No. Research shows gluten-free diets are often missing in micronutrients and fiber, and are higher in sugar and total fat. 2. Is it necessary to remove all grains on a gluten-free diet? No. Only wheat, barley, and rye must be removed. Oats It is important to consume gluten-free whole grains such as rice, buckwheat, amaranth, quinoa, corn, millet, teff, and certified gluten-free oats for their fiber, vitamins, and minerals. 3. Are gluten-free packaged foods healthier than regular packaged goods? No. Like regular packaged foods, gluten-free packaged foods may also be high in sugar, refined grains, and saturated fat. Babio et al. Patients with Celiac Disease Reported Higher Consumption of Added Sugar and Total Fat Than Healthy Individuals. JPGN. 2017;64(1):63-69.